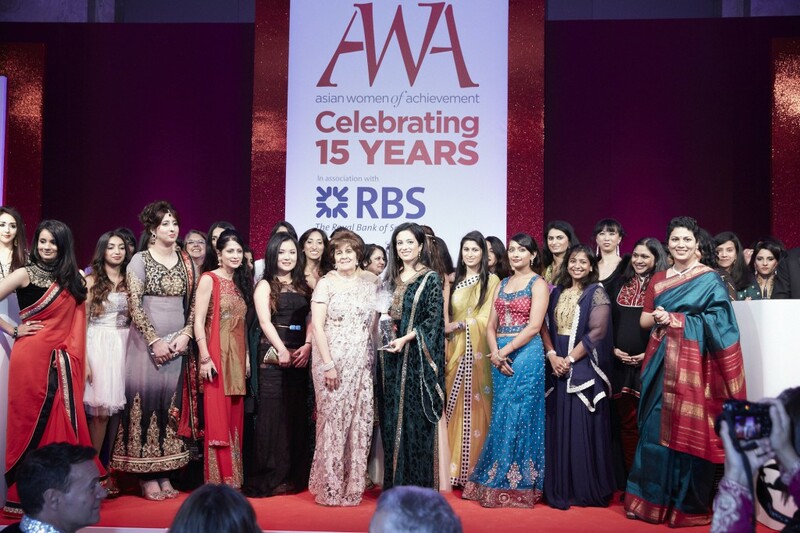 The Asian Women of Achievement Awards, in association with RBS, are pleased to announce the full shortlist for their 2015 Awards, celebrating some of the most extraordinary Asian women in Britain. 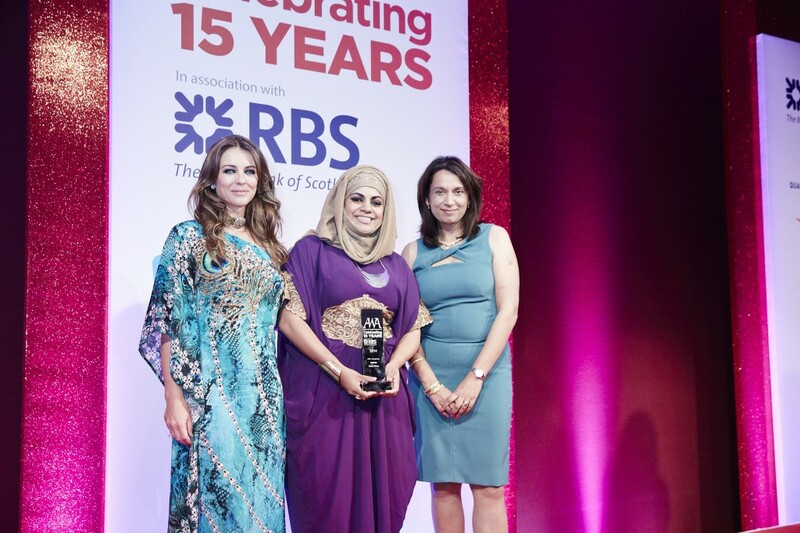 The Awards, now in their 16th year, cut across UK business, entrepreneurs, sports, culture and community impact, recognising both high-achieving and high-potential women. This year’s shortlist has been drawn from an incredibly strong and diverse set of nominations. It claims a national TV star, a global best-selling author, the niece of Jimmy Choo and the first Asian woman to win MasterChef. Between them, the shortlist can boast having managed the highest profile security and justice programme in Pakistan; being labelled one of the top 100 people ‘making digital Britain tick’; and finding children’s outgrown shoes new feet in eight different countries. As a senior manager at LSEG, Umerah helps to boost access to London’s capital markets for smaller growing businesses. Her work has resulted in key policy changes, ranging from HM Treasury abolishing the stamp duty reserve tax when purchasing shares on LSE’s market for small and mid-cap companies, and the EU Commission introducing a new classification for SME markets. She also launched the group’s ELITE programme, helping the UK’s entrepreneurial community access financial advice for long-term growth. After studying economics at Cambridge University, Shona joined the corporate finance team at global investment bank UBS. She moved into wealth management and built her book from zero to £250m under management in six years and was identified as one of the bank’s rising stars. Shona’s business has delivered high double-digit revenue growth and her team’s productivity is the highest among the wealth management desks at UBS. Shelina is the vice-president of Ogilvy Noor (part of Ogilvy & Mather), the world’s first Islamic branding agency. A rare high-profile Muslim female voice in the media and comms industry, she is the author of the global best selling memoir “Love in a Headscarf” with her second book “Generation M” to follow later this year. She has her own column in The National in the Middle East commenting on women’s rights and social movements. IPA described her as one of the UK’s ten future female leaders of advertising. Jaimie started her career as a stockbroker before joining Unilever as a finance trainee in Australasia. She then worked in Shanghai before moving to London, where she has led the financial performance of Unilever’s global business services, delivering strategic guidance to the iconic Knorr and Dove brands. She created the first global real estate strategy for the business and has been instrumental in leading the change agenda in Unilever. Nupur is the HR director for Tata Consultancy Services UK & Ireland, part of the Tata Group – one of India’s largest and best-known companies. Starting her career as an HR officer in Mumbai, Nupur rose up the ranks and is now responsible for the HR function for more than 11,000 employees from 39 nationalities. The company was named “Britain’s Top Employer” by the Top Employers Institute in 2013 and 2014. Sevasti started working for Accenture in 1999 and quickly made an impact; she filed 22 CRM patents leading to her being shortlisted for Accenture’s global Inventor of the Year award. Working with the UK’s largest telecommunications clients, she rocketed up the career ladder to become part of Accenture’s leadership team in 2011. On top of her day job, she is the company’s inclusion and diversity lead, where she has spearheaded the #DaretoShare video campaign, encouraging senior members of Accenture to open up on personal topics such as dyslexia and depression. A former vice-chair of business relations for the British Conservative party, Farzana founded London-based communications agency Curzon PR in 2009. She has headed campaigns for the Oscar-winning documentary “Saving Face”, the Arts Council-backed initiative Creative Industry Finance, and the NYSE-listed global rice brand Amira. She holds a board position at the largest educational NGO in Pakistan, CARE Pakistan UK. Born in Hong Kong and the niece of the legendary Jimmy Choo, Lucy grew up seeing how good quality, stylish shoes are made. She studied business at Birmingham University, had a career in the City and then joined footwear company French Sole. Having helped to grow the brand internationally, she launched her own label, Lucy Choi London, in 2012. Her luxurious, affordable shoes are now stocked in Net-A-Porter, Harvey Nichols and more than 80 high-end boutiques across the UK and overseas. Following a successful career with The Estee Lauder Companies and L’Oreal, Maleka decided to create her own skincare range. Made in Britain with high-quality ingredients, Merumaya Integrative Effective Skincare was launched in October 2012. Maleka’s beauty brand is now stocked in John Lewis and on QVC UK. Former investment banker Rupa has her fingers in many pies. She is co-founder of Yes Sir!, an online global retailer for men’s grooming brands selling more than 1,000 products across 70 brands; social media and digital marketing event organiser Brand Us Social; and Business of Everything, an online source of entrepreneurial expertise. Rupa also founded and chairs members’ club Home House’s Women Entrepreneurs group. Serial entrepreneur Renu is the brains behind X-Forces, a social enterprise set up to support and launch ex-service people in their own businesses. Started in November 2013, X-Forces has now launched more than 300 entrepreneurs and lent over £3.3m. Her vision is to help the armed forces community build more than 3000 enterprises over the next three to four years, creating an extra 15,000 jobs. After reading law at Oxford, Priya worked at major City law firms as an expert in Islamic finance. Following a battle with cancer, she re-evaluated her career and decided to set up her own business. In 2009, she launched Oberoi Capital Partners, an independent, private-placement and consultancy boutique which works with investors in the Middle East and other emerging markets and introduces them to companies in need of investment.